Peter Joy has been appointed as the new independent chairman for the Barossa Grape & Wine Association (BGWA). Peter brings considerable leadership and commercial experience to the BGWA, holding senior executive corporate positions and board roles in various organisations. 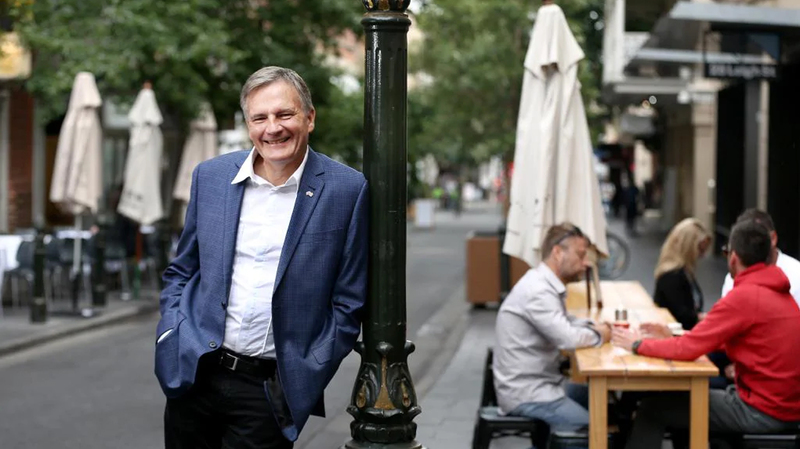 He is currently chair of Brand South Australia and of the Rundle Mall Management Authority. His first involvement with the Barossa wine industry started in 1974, when he moved to Adelaide to join Orlando Wines as a Product Manager responsible for the marketing of Coolabah wine casks and premium table wines. Since then he’s forged a successful career specialising in global brand strategy and marketing, working with notable agencies such as BBDO Clemenger, Young & Rubicam, and JAM. Peter will take over the role from the inaugural chairman, Linda Bowes, who has successfully stewarded the peak industry body for Barossa since 2008. On behalf of BGWA Linda warmly welcomes Peter’s appointment. “I’m delighted to be handing on the baton to a person of Peter’s calibre at this exciting stage of BGWA’s development”, she said. “The stage is set for the region to further reap maximum rewards from the current upward growth cycle and a decade of collaborative and sustained effort. “Working with Barossa’s grape and wine community has been so very rewarding and I’m sure Peter will find it so too. I wish Peter all the very best and continuing prosperity and successful ambition for the region”, she said. “It is an honour to take over this role from Linda”, Peter said. “But in a highly competitive world, relevance never rests and I’m looking forward to working with James March and his team to maintain and build on this enviable position”. Peter Joy will join the BGWA Board from mid-October 2018.